It’s that time of the year again for another week full of Homecoming events. These are part of a well established tradition at William Jewell College that starts with a service event and ends with the football game a week later. The student body is divided into teams that compete against each other to earn points based on competitions and participation. Every night, the spirit stick is awarded to the team that displays the most spirit. A trophy is awarded to the overall winner at the end of the week. 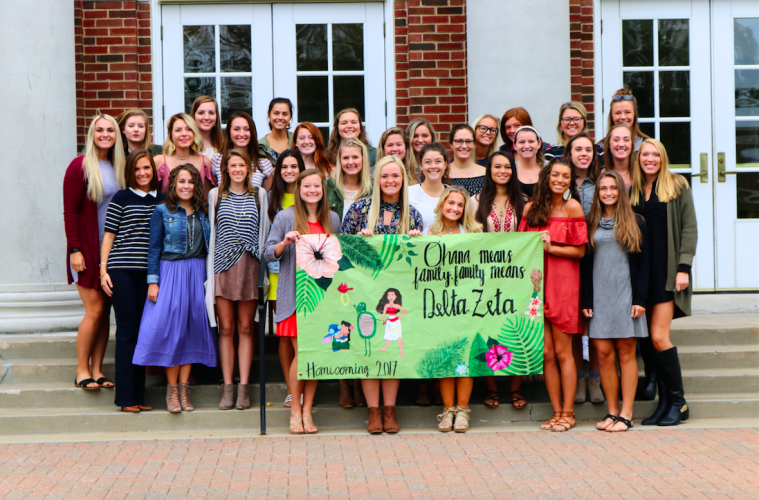 This year, the Independent Student Association (ISA), first-years and Delta Zeta (DZ) sorority are competing as individual teams. The remaining sororities and fraternities are paired. 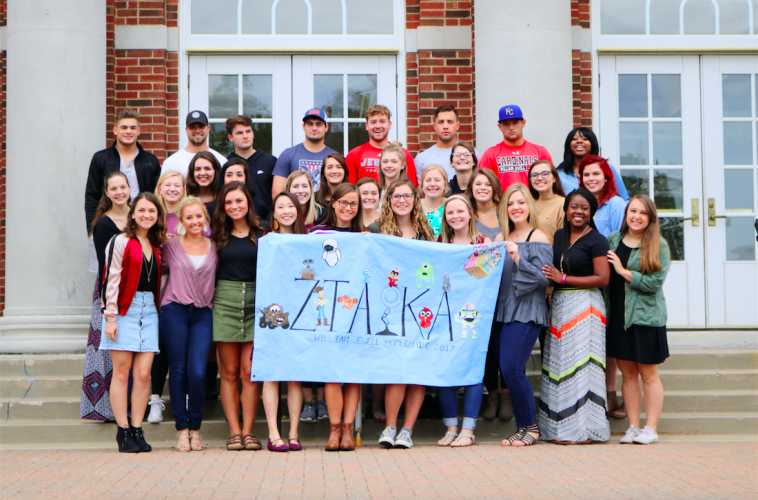 This year the teams are Phi Gamma Delta and Alpha Delta Pi, Lambda Chi Alpha (LCA) and Alpha Gamma Delta (AGD) and Kappa Alpha and Zeta Tau Alpha. The Homecoming theme this year is “Fall into Fantasy at Jewell.” The above teams derive their own individual themes based on this. Team themes this year include monsters, jungle, Pixar, Moana, superheroes and under the sea. The events kicked off Saturday Sept. 23 with Serve and Celebrate. 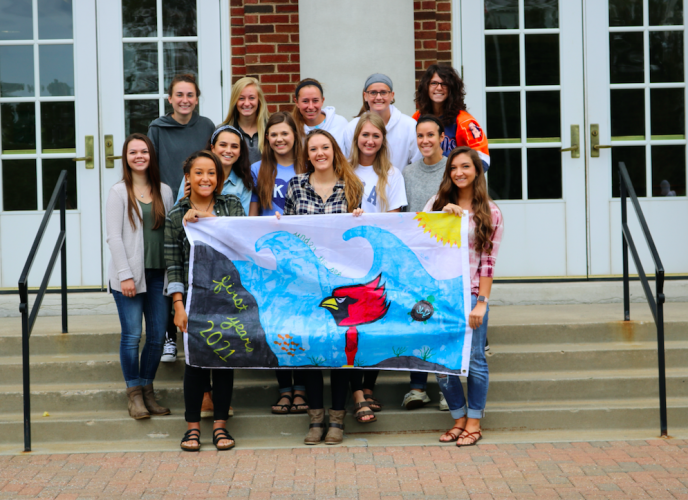 This year students volunteered around the Kansas City metro area, Liberty and on Jewell’s grounds. The Mabee games were Monday night. Students took to the field at Greene Stadium to compete in six events. These were a food relay, human pyramid, egg toss, slip and slide, hula hoop relay and frozen t-shirt contest. ISA’s human pyramid was noteworthy. Not having the required 11 people, they decided to get creative by making pyramids with their arms. The winning team in this event, LCA and AGD, completed its pyramid in only 11 seconds. The spirit stick for the night was awarded to DZ. Tuesday night was Carnival Night, filled with lots of food, games and dancing in the Yates-Gill Union. There was also a costume contest based on each group’s theme. 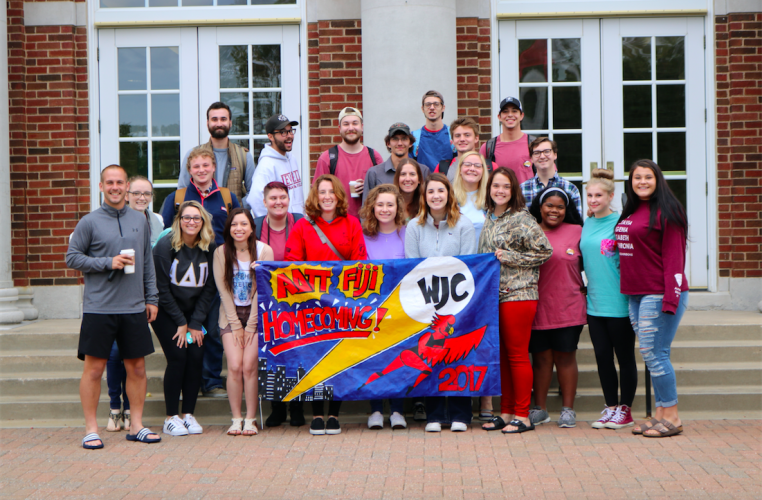 Points were awarded for on participation and the LCA-AGD team took home the spirit stick. On Wednesday morning, the group pictures were taken during Jewell Time. Points for this day were awarded based on the number of people present for the photos. Campus Sing was Thursday night. This event required that each team perform a choreographed dance to the tune of popular songs of which they have changed the lyrics to be relevant to the College. Campus Sing kept last year’s addition of Minute to Win it games between routines. The competition this year was slimmer as ISA withdrew from the competition after their 2nd place finish last year. DZ won Campus Sing this year and the spirit stick for the night. One difference from last year is the readdition of the pep rally. Previously held Friday afternoon or evening, the pep rally will now take place during Jewell Time and will be supplemented with an ice cream truck. The festivities will come to an end with a football game Saturday Sept. 30, when the Cardinals will play Missouri S&T. The Homecoming king and queen will be announced at half-time. This year the candidates for queen are Erika Storvick, Shakiyla Hughes, Karoline Wiens, Katelyn Cordray and Denise Sallee. Nominees for king are Patrick Whelan, Troy Williams, Rylan Schuster and Jameson O’Connor.